It is common knowledge that poorly-maintained rental properties wind up costing landlords more than if the property had been regularly maintained. Yet, many landlords are unaware of the hidden risk they run in deferring property maintenance: they attract bad tenants. Take for instance the Calgary landlord who has just agreed to pay $41,500 in fines for delaying needed repairs to her rental properties. The landlord argued that she had bad tenants, and that led to further property damage. Truth is, a property in poor condition attracts bad tenants, no matter how it got that way. As a property begins to decline, whether through neglect or damage from a tenant, it becomes a magnet for problem tenants — the kind that move in, cause damage, and then use that as an excuse to avoid paying rent. These same tenants will report the condition of the property to authorities, and then continue to live rent-free while the landlord struggles to sort things out. A neglected unit or building will repel tenants who would actually care for the rental home, and the cycle will continue. The judge in the Calgary case was at first reluctant to accept the settlement agreement out of concern that the fines were too low. That alone should send a strong warning to other landlords not to delay property repairs on occupied units. Budgeting money for ongoing maintenance and repairs is a necessary component to doing business as a landlord. A long-term maintenance plan can drastically reduce ordinary, out-of-pocket costs and minimize income loss. The highest priority should go for safety features. It is no coincidence that these items likely will be identified in local building codes. Making this a priority not only keeps tenants safe, it helps you stay out of hot water with local inspectors. Basement units must have easy access, through windows if necessary, in the event of an emergency. Doors should have deadbolt locks, and one-way peepholes are a great option. Avoid overgrown landscaping, ice or debris near access routes, and install and maintain reliable outdoor lighting. Smoke and carbon monoxide detectors should be installed in each unit. Follow local regulations, or speak with a local fire marshall if you are unsure where to install the detectors or how many you need in your unit. Also, replace these units periodically, as they do expire. An expired unit may beep a false positive. If not replaced, tenants may ignore the signal or disconnect the unit. Tenants are willing to overlook outdated features if the rental unit sparkles. Clean units attract clean tenants, and set an example of how the property should be maintained throughout the lease agreement. Likewise, invest in the help needed to keep all common areas clean, including floors and walls. When tenants think you care about the condition of the property, they are more likely to care for it as well. Remember, bad tenants are looking for neglect — a sure sign that the landlord is a pushover. Also high on a good tenant’s priority list is a landlord who is professional and responsive when it comes to property maintenance and repairs. Good tenants like to live in well-managed properties. The quality of the service provided is reflected in the curb appeal and the overall condition of the property. Tenants are watching. You should be, too. Take the time to actively manage the property. 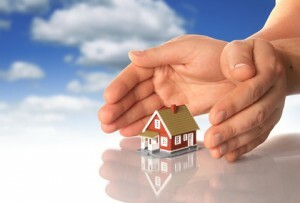 If you are not available as often as you need to be, consider investing in a competent property manager. Finally, inspect properties often, and encourage tenants to report problems directly to you or your manager. Good tenants are the ones who report repair items and expect you to respond promptly; bad tenants keep quiet because they don’t want you to come over.